Is Big Little Lies Season 2 Going to Happen at HBO? HBO's wildly successful star studded series, Big Little Lies, ended its limited run of seven episodes last night to its highest ratings yet and all of the questions seem to have been answered. We now know who dies, who the killer is, and who the first grade bully is, but fans of the hit drama have another question: is there going to be a second season of Big Little Lies? The show was originally conceived to run as a one-season deal based off of the book, "Big Little Lies" by Liane Moriarty and now the show's director Jean-Marc Vallee has been talking to The Hollywood Reporter about continuing the show. "If there's an opportunity to reunite with Reese, Nicole and these characters, of course, I'll be apart of it, but Big Little Lies One is a one-time deal. We won't give you a season two because it's so good like this... why spoil it?" 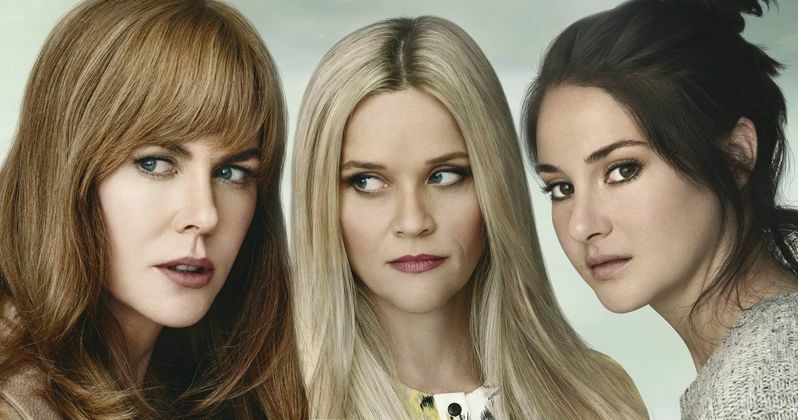 While actresses Nicole Kidman and Reese Witherspoon have stated that they would be interested in a Big Little Lies season 2, it seems unlikely. A second season not only sounds unlikely from Vallee's comments, but also unlikely because there is not a sequel to Moriarty's original story. During a Facebook/Instagram live chat Witherspoon went so far as to ask fans to message Moriarty about the show. "One of the main questions everyone keeps asking us is is there going to be a season 2," Witherspoon reportedly told Facebook/Instagram. "We've been talking with the writer, and you guys should Facebook Liane Moriarty and tell her how much you want to see Big Little Lies 2. That would be good. She's thinking about ideas, and so we would love to hear ideas." In addition to starring in the series, Nicole Kidman and Reese Witherspoon also produced the show, which has led to speculation of a traditional season two with the original cast. And now there is even speculation of a True Detective-like situation. Big Little Lies could come in the form of a second season with a completely new cast and story, much like True Detective's season 2, which came with mixed reviews to say the least. There is already a backlash to this very situation. Vanity Fair posted an article today entitled, "Please HBO: Don't Make a Second Season of Big Little Lies." The tagline for the Vanity Fair article goes on to say "Let the dead stay dead - and a nearly perfect-show remain a nearly-perfect show." While it seems unlikely that Big Little Lies season 2 will happen, season one remains high in popularity. A brief search through Twitter and Reddit reveal that for the most part, fans are deeply satisfied with the miniseries. In fact social media seems to have had a big impact on the popularity of the miniseries. Deadline reports that "The last episode of the limited series drew 1.9 million viewers for the 9 PM premiere telecast, up +34% from 1.4 million last Sunday, and 2.5 million viewers for the night - both new high marks for the drama." Regardless of whether Big Little Lies is coming back or not, fans of the miniseries can look forward to the upcoming big screen adaptation of another Moriarty book. The book entitled, 'Truly Madly Guilty' was optioned by Kidman and Witherspoon in 2016 and is awaiting a release date. While fans wait patiently on that adaptation, they can also go and read the New York Times Best Seller 'Big Little Lies' for a more in-depth analysis of the miniseries.